In his Republic, Socrates stresses the indispensability of young men and women leaving their towns to experience the world and to see what dwells within it. Courts for Kids is a fantastic avenue, facilitating the exploration of young individuals, including Columbia River High School students of Vancouver, Washington, to experience cross cultural exchange in a manner that would make Socrates proud. 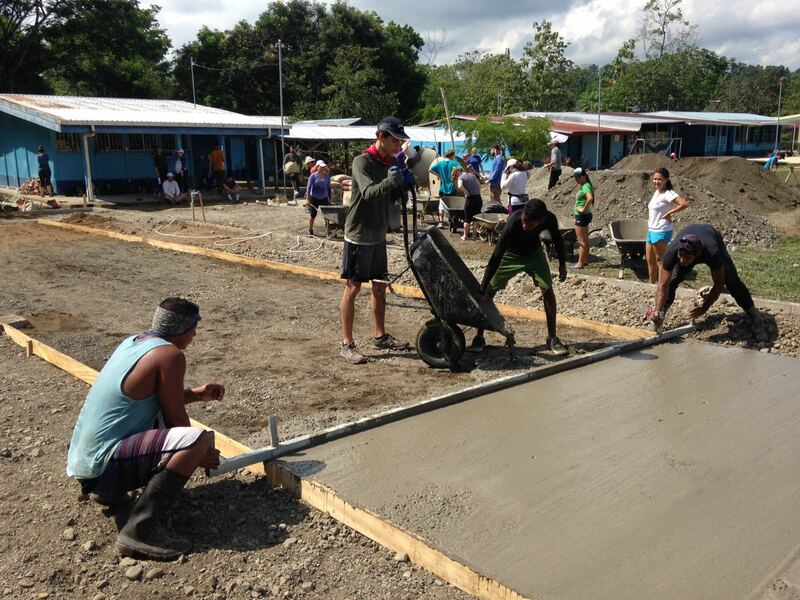 On a trip to Guadalupe, Costa Rica, we learned lessons of camaraderie, perseverance and service as we worked together with the local community to construct a basketball court at the public school. On the first morning, we awoke to the chirping of birds, encouraging us to arise to our day. 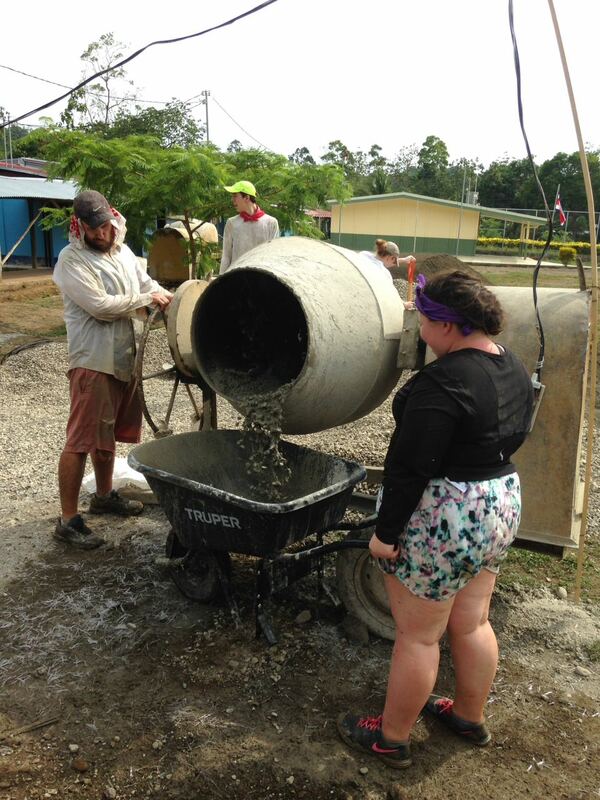 We began early in the morning with a fleet of wheelbarrows, a cement mixer, shovels, buckets and lots of other necessary construction equipment. Full of anticipation, everyone took to their stations and worked together to initiate the project and the transformation of what began as a raised, rectangular mound of sand into a regulation-size basketball court. 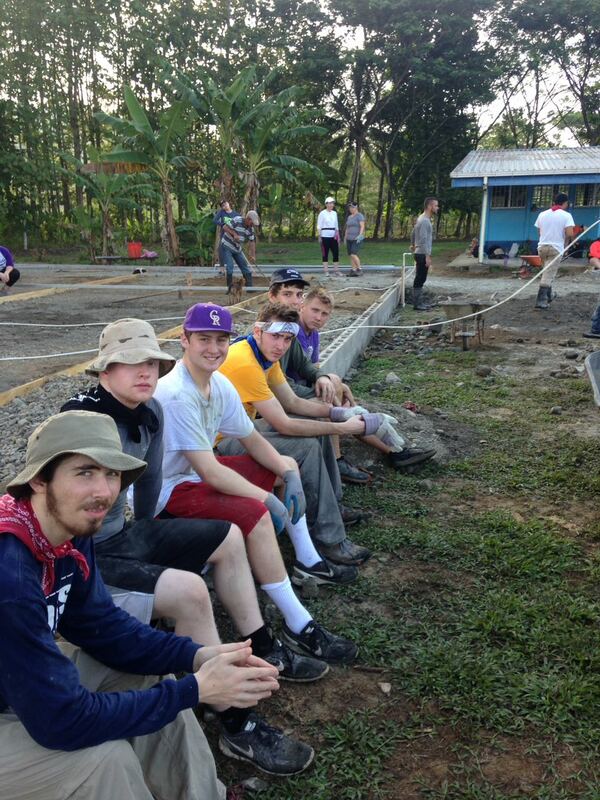 Over the course of the week, Columbia River students worked, ate, laughed and sometimes even cried together, as the wet cement turned to concrete and the court grew toward completion. 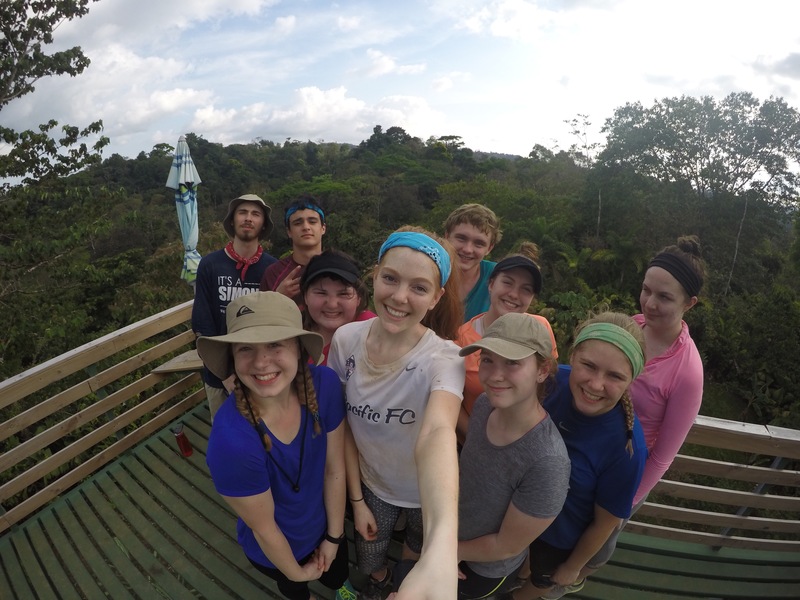 We were delighted to work alongside our newly made Tico (slang for Costa Rican) friends. They endured the hot sun just as much as we. 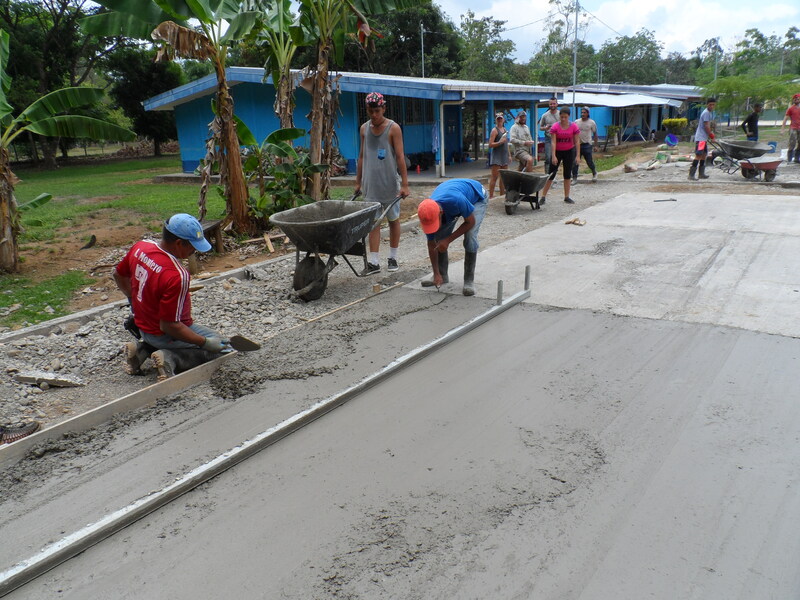 Some of the Ticas (female Ticos) also joined in and ran wheelbarrows with us, rushing to pour concrete and returning with eager smiles to the mixer for the next load. Through spending the week together, sharing a common goal and practice, we grew our camaraderie, not only with ourselves, but with the people of Guadalupe. As we experienced, building a court is no easy feat. 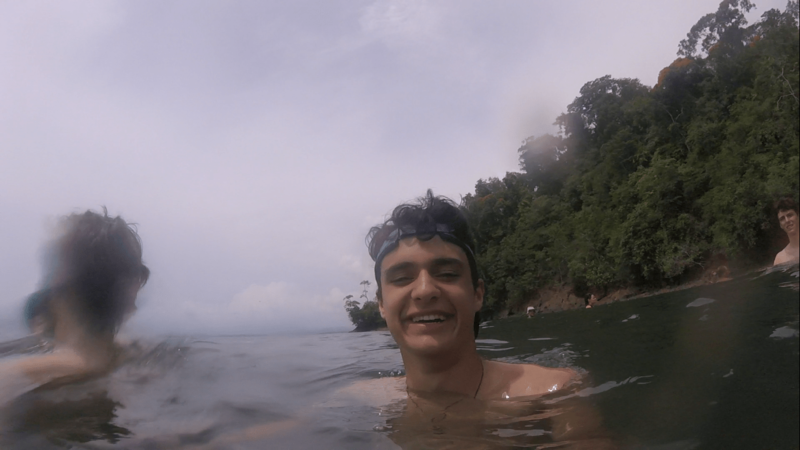 For us, we had been acclimated to the rainy, cool climate of the Pacific Northwest, and the physical work under the Costa Rican sun was brutal. Despite the hardships, the level of effort did not waver, for we were never far from our Tico friends who toiled beside us. Through the hardest moments of exhaustion and strain, we all experienced a universal feeling of satisfaction as the court grew in size, wheelbarrow by wheelbarrow. After many months of waiting, fundraising and preparation, the concept of service took on a whole new meaning as we saw all of our labor come to fruition. What was so inherently special was that regardless of culture, there was a united effort to construct the court. Locals fundraised, prepared, and worked alongside us. The court allowed people from two different cultures to collaborate on a common objective that would bring joy to others. The concept of service transcended the 25 Americans and Ticos that donated time, money and energy to make the project come to fruition. The level of commitment from so many people truly made the construction of the court cross cultural, as well as an incredible bonding experience for all the participants. The court has many purposes. It is a place for community gatherings, a place to encourage girls to play sports, and a place that fosters teamwork and health. The court, too, has a symbolic value. The court represents unity, service, and love. The very concrete that we poured could serve as a reflection of the collaborative nature of the project as different ingredients were mixed together and then hardened to form something truly wonderful. For the 25 of us that traveled to Guadalupe, we returned with a better understanding of the world and ourselves, recognizing the power of service and its ability to foster lasting friendships, memories and smiles. 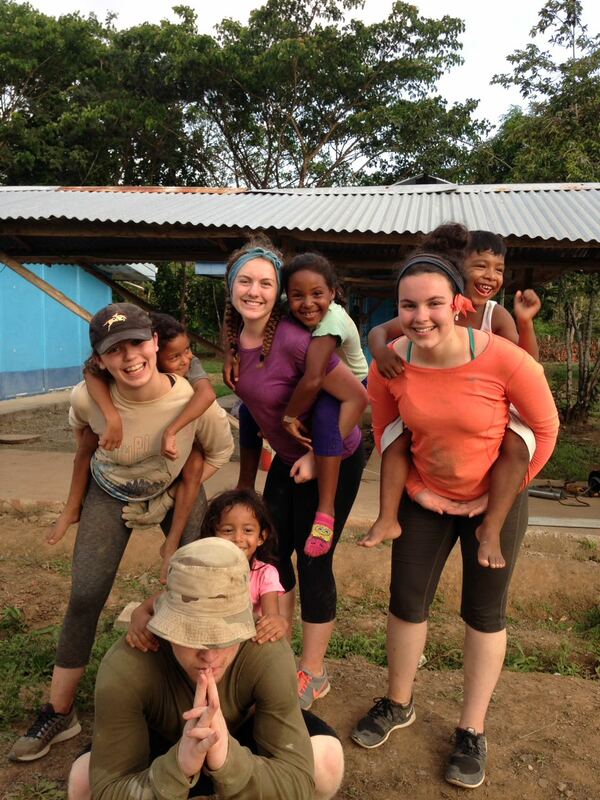 “My favorite memory from the trip was seeing girls of all ages from the community helping with the court. It gave me goosebumps when two of the high school girls were the ones to pour the last two loads of concrete to finish the court. 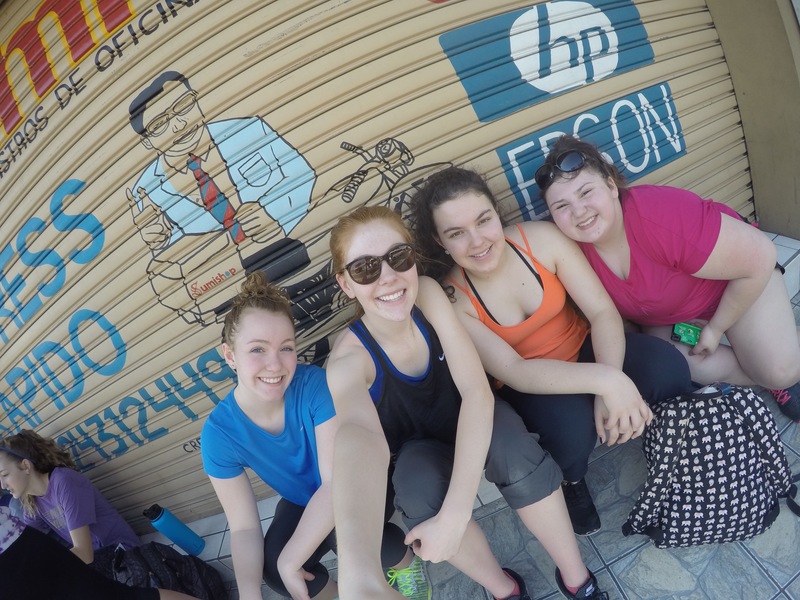 We have a long way to go in the States to accomplish gender equality, and I love that the girls on this trip could be an example of how capable and strong we are. I also enjoyed working hard to accomplish something that so many will be able to benefit from. 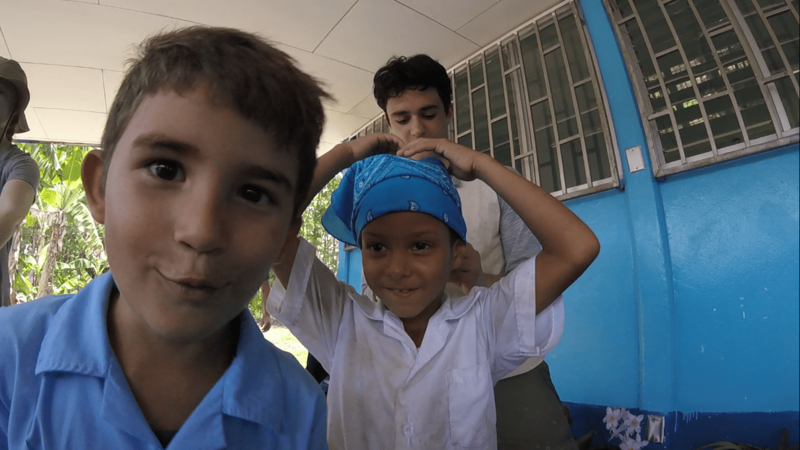 “My favorite memories of the trip involve the children in the community of Guadalupe. Their smiling faces and exuberance really touched my heart. All the people in the town have been extremely friendly and welcoming, and the kids are no exception. They live in very different conditions than we do; yet, they are typically open, gregarious, happy kids. I will miss them and wonder about their lives in the future.